I do enjoy a good wedding. Anyone who has been following me through this blog has worked that out by now. There are many photographers who think I am crazy, but I am of the firm opinion that no photographer has any right to receive the honour of photographing a wedding if he doesn't really want to be there. Admittedly, some weddings are more fun to photograph than others. 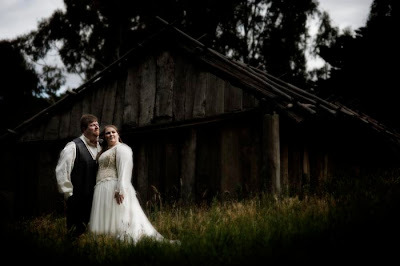 But overall, there has to be passion for your work and the feeling that you have been honoured by the couple who selected you from hundreds of photographers and entrusted you to capture their day. A two wedding weekend is an arduous one though. Wedding photography is very tiring. Exhausting in fact. You are 'on' all day. You are there for the couple all day. You are constantly thinking on many levels - creatively, logistically, technically, personally - all day. So when I get home the couch is mine. All mine. Add to that a remote control and a glass of red wine and I am set. Louise and Rune's wedding was a whole lot of fun. 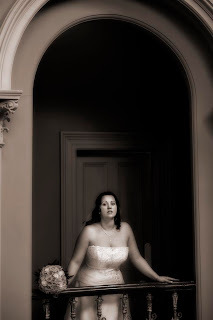 I had the pleasure of photographing Louise' sister Basia's wedding about three years ago. 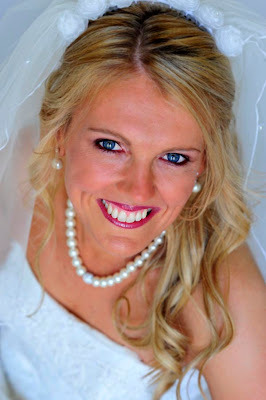 Louise loved Basia's wedding photographs and I was called back to photograph hers. Louise' fiance' Rune is Norwegian and a great guy. His groomsmen were Norwegian friends of his and so you can imagine the fun we had. Sunday saw me at Lorinda and Chaie's wedding. Lovely people. 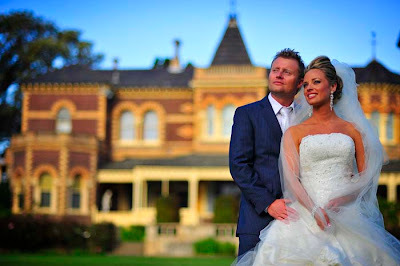 They began their day by getting Lorinda ready at Toorak Mansion. Berk was with me for this wedding and he was in the zone. This time he had his camera out and was setting up photographs when he got the opportunity. All this time, Chaie was busy towing his restored '60 Chevy to Butleigh Wootton for photographs. It was supposed to get their on its own steam but somehow it just wasn't finished in time. Nevertheless, it made it to the venue and I was able to use it for some of Chaie's favourite photographs. 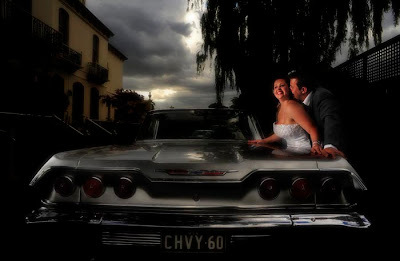 In fact, there were times I wondered if it was the Chevy or Lorinda who was the real love of his life. I am sure its Lorinda, but she would have had some grounds to get a little jealous! Its that time of year Down Under. Yes, its summer time, and the living is easy...we wish. Its wedding season, so every wedding photographer worth his salt is working Saturdays and maybe Sundays taking care of the photographic needs of young couples tying the knot. This past Saturday the honour fell to me to photograph Brett and Lauren's wedding. I have known Brett and Lauren for years.Brett's brother is married to my niece, Jade. 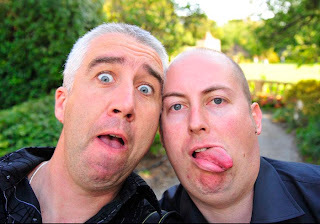 I have also photographed his brother Troy's wedding, and now his. Lauren is a friend of my niece Jade (small world, aint it?) and so she has been around the family for many years, freeloading here and there and generally just being gorgeous. I make no bones of the fact that I was kinda hoping that Lauren would wait for my son to grow up and marry him, thus making me a very happy Dad and Dad-in-Law. However, she had to fall in love with Brett. And why? Just because he is devastatingly handsome, an incredibly nice guy, generous to a fault and with excellent financial prospects doesn't mean he is a great catch, does it? Hmm..perhaps it does... Hey Brett, Lauren! Congratulations to you both! And thank you for the honour to attend and photograph your wedding. What a wonderful day it was! Yes, I had the honour of teaching another Creative People Photography workshop at Abbottsford Convent today. It was organised by the good people at Croydon Camera House, who, along with Camera Action Camera House are acting as agents for my workshops. Once again I was assisted by my friend Richard Annable and worked with the lovely Soph. Soph is without doubt a beautiful girl and a great model, but it is her personality which really works perfectly at these events. She has a great sense of humour and works well in a situation that would undo many less experienced models who find themselves surrounded by a dozen picture-hungry enthusiasts. 1/ Find the Light and Put "em in it. 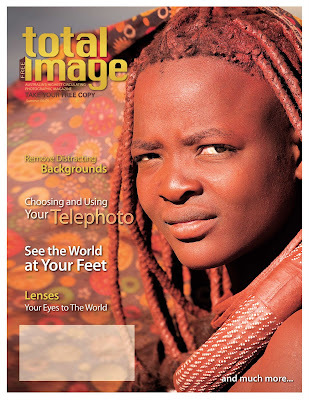 Well, the latest issues of my long living baby, Total Image, will be out soon. It is also known as Better Pictures for Camera House and PhotoPlus for the PhotoPlus group of stores. For its entire life, it has been Australia's highest circulation photography magazine and being its publisher and editor has been a wonderful privilege. In this issue, Darran Leal discusses the principles of using telephoto lenses. His fabulous image graces the cover of Total Image as seen above. Former model and Neighbours actor turned photographer (and now friend!) Dan Paris reveals his wonderful journey from landscape photographer to people photographer. 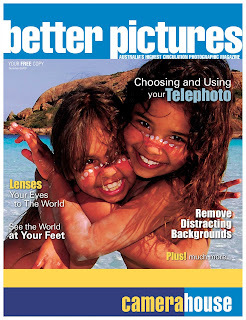 It is his cute image of two playful aboriginal girls that graces our Better Pictures cover. 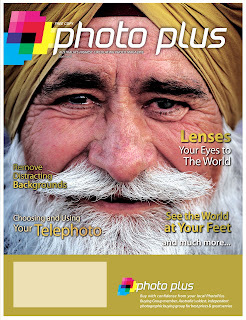 My image of an elderly Indian gentlemen graces the PhotoPlus cover. My long time friend and fellow light lover, Ian Rolfe, tells us to get in touch with our feelings in order to really see the world around us. Corel Paint Shop Pro guru, Mario Nicotera shows us how to remove distracting backgrounds in our pictures.We also look at the use of lenses for creative imaging and discuss depth of field...and much much more! Get your free copy from a participating photo retailer today. Email me if you need to know where to get yours in your area or contact me via my photography tutorials website. As some of you may know, I once had a fairly regular stint on Melbourne Radio 3AW, talking cameras and photography with Ernie Sigley. It lasted a little while but for some reason Ernie became somewhat uncomfortable with the segment and I was not called back. When Ernie went on holidays and Denis Walter stepped in, I would receive the call to come in and do a segment. I learned from this that it wasn't anything other than Ernie's discomfort with the subject that prevented the segment from being more regular. Hey...it was his show. But I know each time I was on air the subject fielded enough calls from interested listeners with questions to validate the time. Last night I went to the Palms Room and Crown Casino to photograph one of the best tributes to Elvis Presley I imagine could ever have been made at such a venue. I am not an Elvis fan, although without doubt he was one of the greatest entertainers of all time with a voice that could belt out the blues, croon gospel and sing love songs. The tribute was made by Mark Andrew, who, of all things, used to be my hairdresser. Now, he is himself a successful entertainer who not only flawlessly pays tributes to Elvis, but also other legendary entertainers of the past. Last night's show was a 40th anniversary recreation of his '68 Comeback Special followed by an encore concert performance. I was asked to photograph the show. Mark's impersonation of Presley is not the ridiculous, tongue-in-cheek hip grinding imitations of many. Rather, it is a serious and honourable tribute that includes the serious side of Elvis, while incorporating his humour and his passion to entertain.And it has always been that way for Mark. It was nine years ago when he appeared and performed as Elvis at my parents 40th wedding anniversary.I was in a band at the time and Mark was happy to perform with us for my parents as a surprise. As I said earlier, Mark was our family hairdresser. He owned a salon near where I live and his Elvis shows were only just beginning to gather momentum. Now, Mark Andrew is renowned in his field. It was wonderful to catch up with him again last night and to photograph him doing something he does so well - entertain. Well, its that time of year...which means I am once again back in the land of romance and matrimonial bliss - photographically speaking. I don't photograph more than about 20 weddings a year, but in Australia, this is the season to do it. It is summer time, and the living is busy. 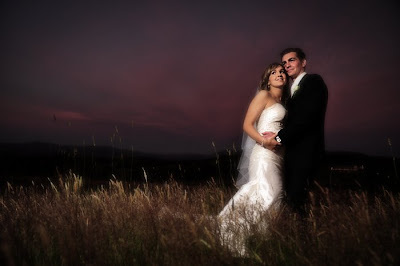 I enjoy wedding photography, and I keep it to about 20 per year because I enjoy it. The last thing I want to happen is the demise of my passion for photography as a result of its abuse for purely financial gains. In fact, the loss of the passion would put the death knell on my ability to produce worthwhile images anyway. So, I choose to diversify my work and keep all my passions alive in so doing. Today's wedding was Michael and Stephanie's big day. 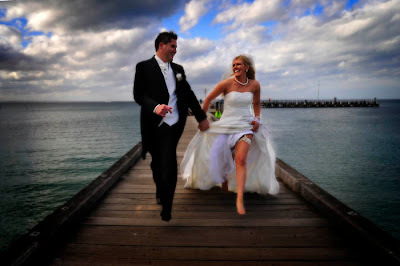 Stephanie's main concern was confirming her entrance by seaplane to the ceremony, which was held at Portsea Hotel in - where else - Portsea, Victoria. I have photographed some entrances in my day, but this is my first seaplane.... I was once again accompanied by my friend and assistant, Richard Annable, and without his assistance I really don't think I could have taken all the photographs necessary. Maintaining Stephanie and Michael's attention was a real challenge, despite their reassurances that they really did want some great photographs of their wedding! But wedding days can be like that. And every wedding is different. Congratulations Michael and Stephanie. Thank you for the honour of allowing me to be your photographer. Since then Erin has become a member of the family at Five Minute Photographer, my photography tutorials website. Steve and Erin's wedding was held at Emu Bottom Homestead in Sunbury and it was fun, fun, fun from the very start. My assistant, Richard and I were laughing with them from the very start to the very end. Thanks Steve and Erin! It was a great day and having the honour to photograph the wedding of fellow photography lovers is always a bonus!